Hemas Hospitals, the first and only hospital chain in Sri Lanka to have gained the ACHSI (Australian Council on Health Standards) International accreditation won the Silver award to become the runner up in the healthcare category at the prestigious National Business Excellence Awards (NBEA) 2018. The National Business Excellence Awards recognises corporate entities that exemplify excellence in seven well-defined areas which make up the evaluation model. Hemas Hospitals demonstrated its excellence in the seven areas of leadership, corporate governance, capacity building, performance management, local and global market reach, corporate social responsibility and environmental sustainability as well as business and financial results to claim the coveted Silver Award. 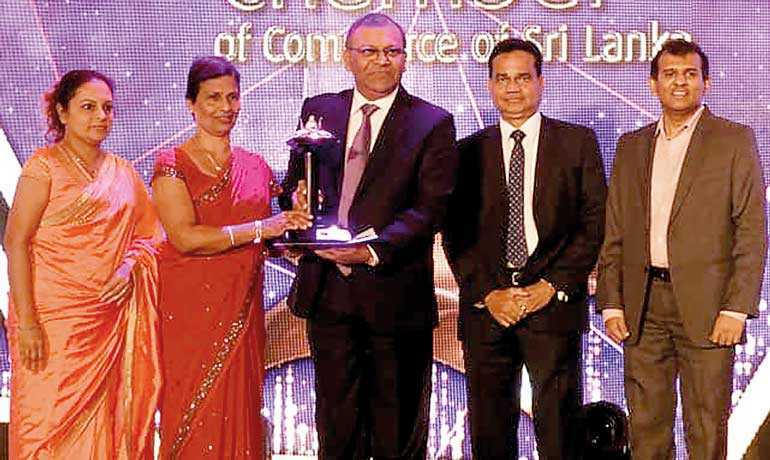 The 15th Edition of the National Business Excellence Awards was held at Hilton, Colombo. National Business Excellence Awards strives to inspire organisations in Sri Lanka to emulate award winning corporate entities in order to raise the overall standard of organisational management in the country. Moreover, NBEA aspires to position Sri Lanka as a country where organisations excel in sustainably managing and developing businesses and thereby attract joint ventures, investments and encourage foreign entities to source products and services from Sri Lanka. Prior to bestowing National Business Excellence Awards on deserving businesses, an eminent panel of judges analyses and evaluates contenders against the seven criteria model which has benchmarked some of the world’s renowned excellence models such as the Deming Award of Japan and the Malcolm Bridge National Quality Award of USA. In 2015, Hemas Hospitals won a merit award at the National Business Excellence Awards. Hemas Hospital chain became the first hospital chain in Sri Lanka to achieve recognition from the prestigious Accreditation body, Australian Council for Healthcare Standards International (ACHSI). Hemas Hospitals is an OHSAS 18001 certified (International Accreditation for Occupational Health and Safety Standards) hospital chain while the hospital’s laboratory possesses the ISO 15189:2012 standard certification. The Hospital strictly adheres to the highest international and local safety standards and provides exceptional care to patients well-supported by experienced specialist consultants, talented staff as well as the latest medical technology.